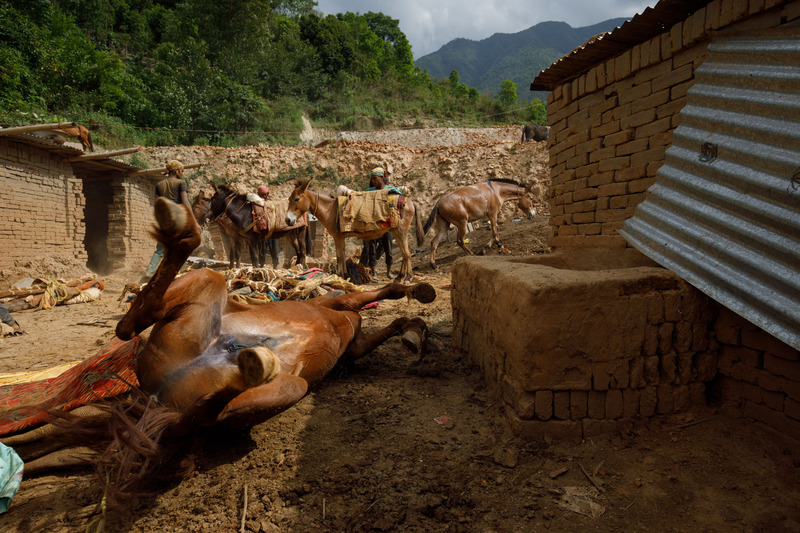 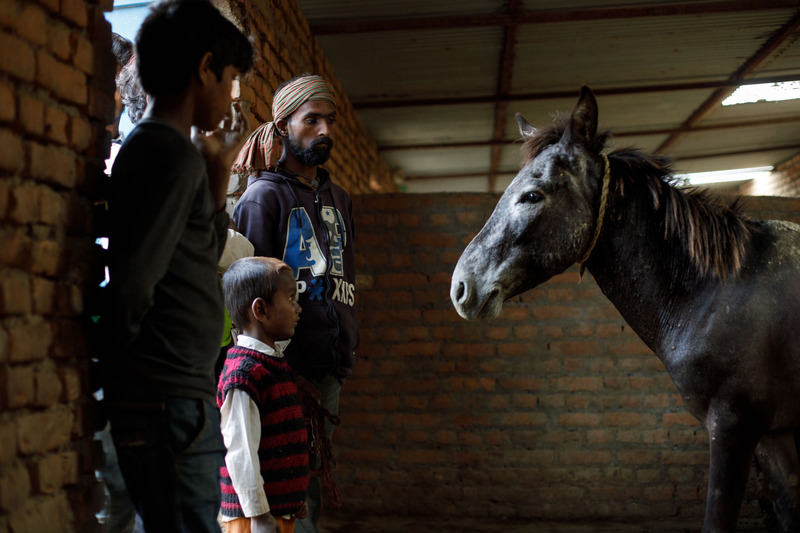 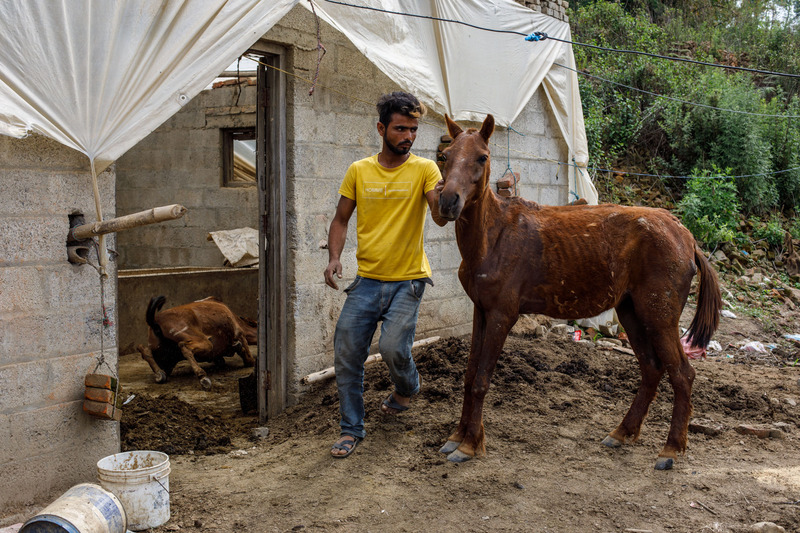 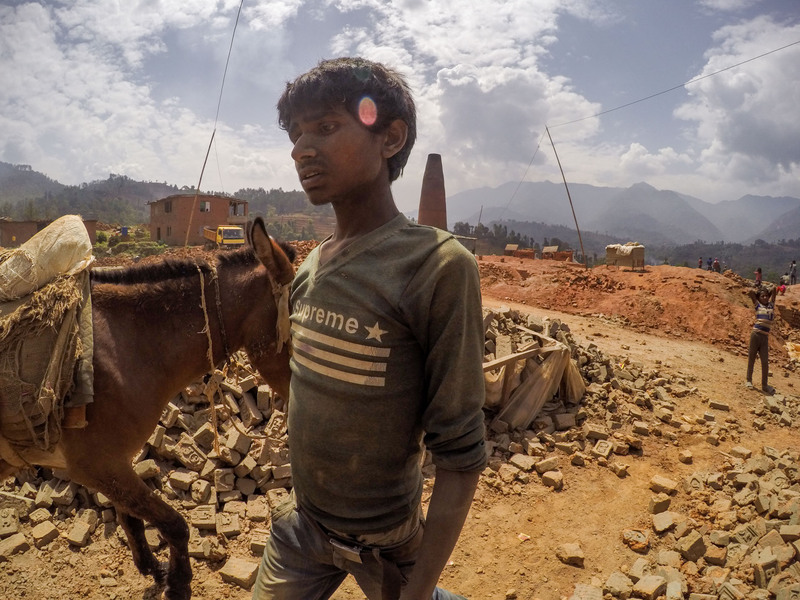 A trip to the Kathmandu Valley to photograph the human and animal workforce in brick kilns. 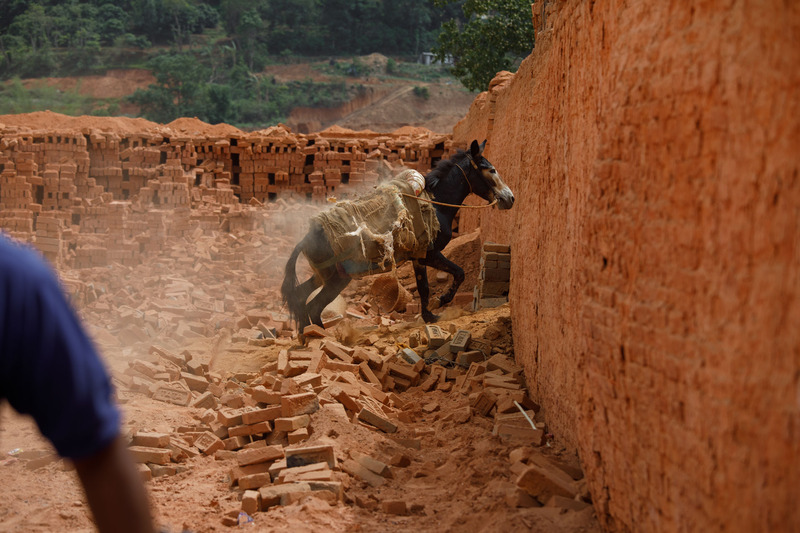 Mules are bred in India and purchased there to work in Nepal’s brick kilns. 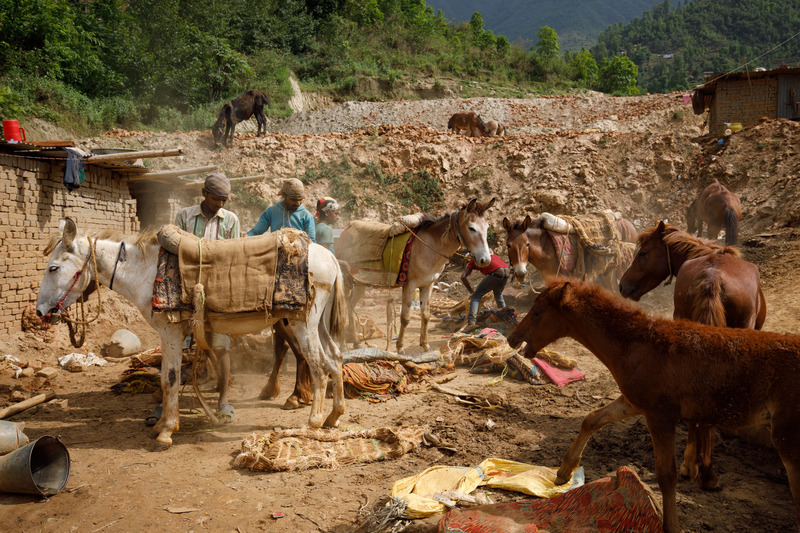 If they survive in reasonable condition they can be sold on as mountain pack animals at the end of the season. 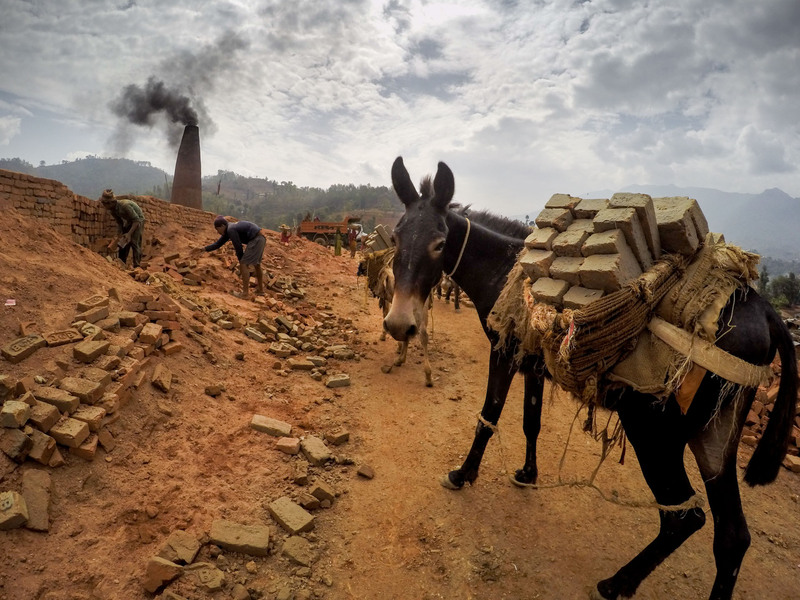 The mule owners bring with them boys to drive the mules back and forth, from the brick drying stacks to the kiln itself. 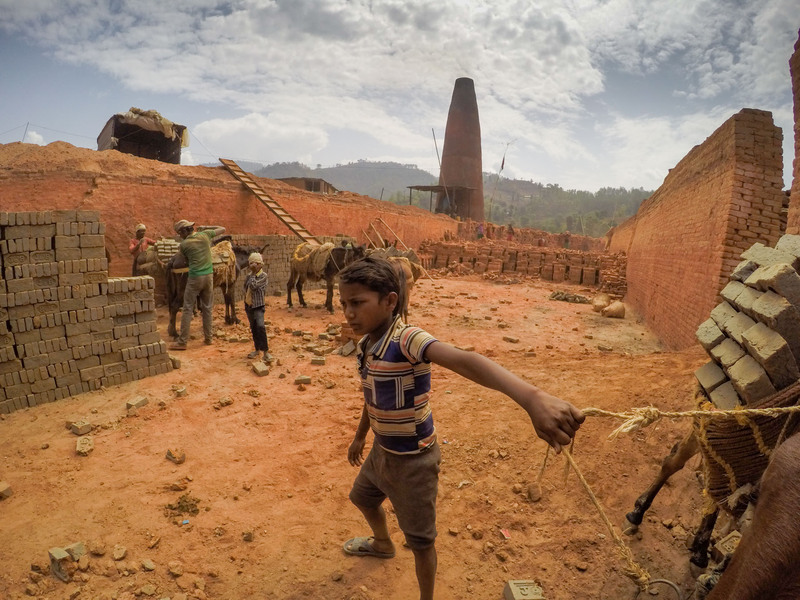 Many of these children are classed as bonded labour. 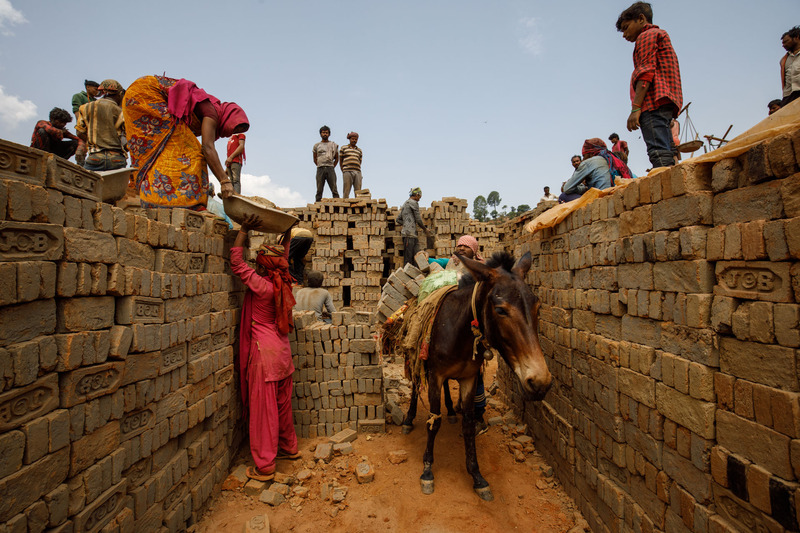 Their families are paid upfront for the child’s season of work. 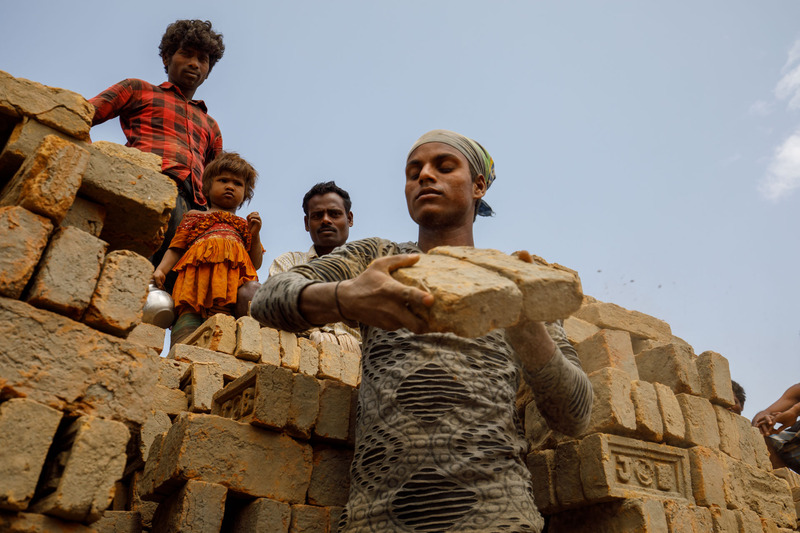 They can rapidly become trapped in a cycle of debt. 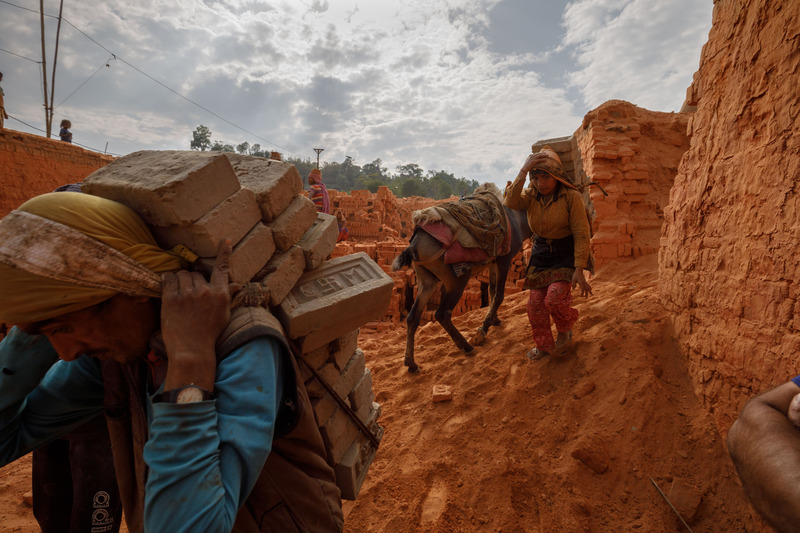 Conditions are even worse for adult workers. 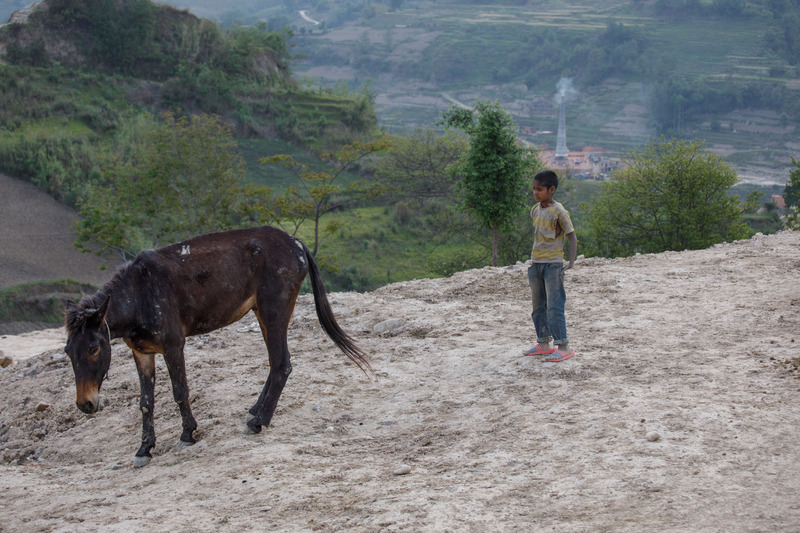 The safe working load for a mule is a third of its bodyweight. 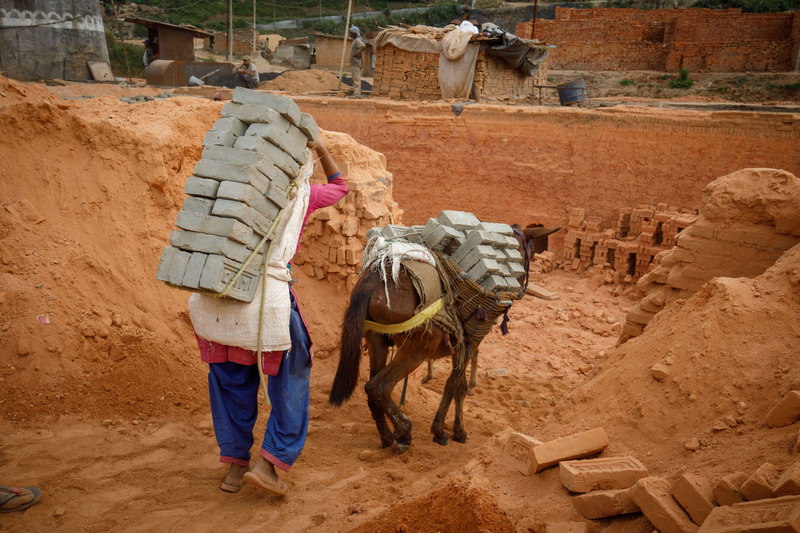 I saw adults carrying as many as 32 two-kilo bricks – effectively their entire bodyweight. 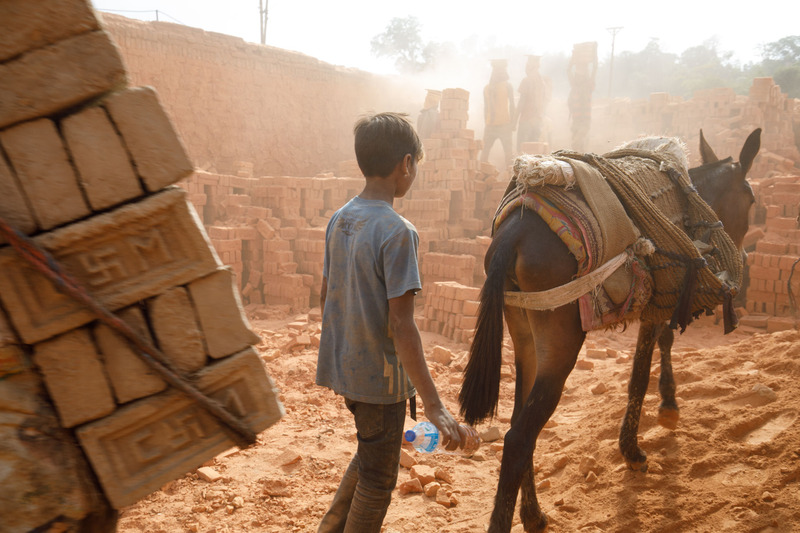 If you want to know more about this issue have a look at ‘Brick by Brick’. 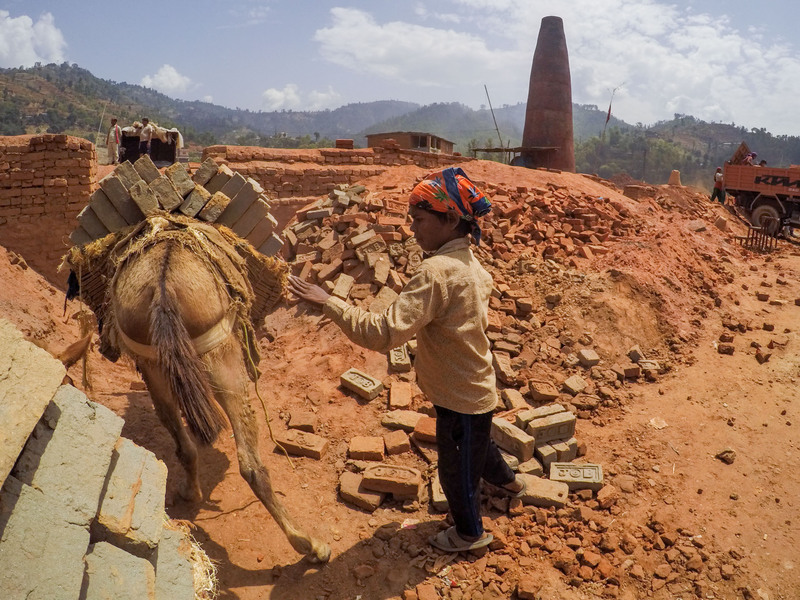 This excellent report links environment, human labour and animal welfare.